Have you ever been in a class and had an "Ah-Ha!" moment? Maybe it wasn't specifically something that your instructor was saying, but the internal dialogue going on inside of YOU where the dots were connected and you recognized what you needed to change about yourself. Powerful learning! How do we create the opportunity for that Self-Discovery? How do we nurture and reinforce that Self-Discovery back on the job? Join us in June as WE discover more! Lisa’s B.S. and M.S. in chemical engineering provided her a strong foot-hold in the manufacturing world. 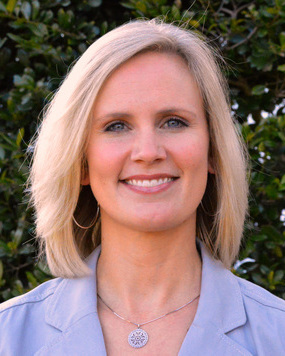 Prior to starting her consulting business, Lisa gained a wide range of manufacturing experience in 11 years working for a major engineering and manufacturing company in Columbia, South Carolina. Her experiences spanned production operations, continuous improvement, training development and delivery, and product assurance. During six years of managerial experience, a primary goal of hers was to lead employees toward solving their own problems. The results included practical solutions and improved overall performance, as well as employees taking pride in contributions and growing in confidence. Naturally, when people feel more capable, involvement increases and improvement ideas flow faster. Lisa’s passion for leadership development grew considerably while leading a Lean Manufacturing transformation which included co-teaching a course on the concepts of Lean, the dynamics of organizational change, and the role of leadership in enabling change. While coaching leaders and professionals, she honed skills in setting clear goals, aligning a team, change management and employee engagement – all of which are crucial for achieving higher performance. Lisa is a Master Black Belt in Lean-Six Sigma, and her credentials include a BS and an MS in Chemical Engineering from the University of South Carolina. She has certifications in two highly valid assessment instruments, the WorkPlace Big Five Profile and Styles of Influence (SOI).